My husband and I went to stay at the new Associate Resort, Ramada Couran Cove in November. We were absolutely delighted with our unit, which was right over the water so we could look down at the fish and large crabs just below our balcony. We loved the whole concept of the Resort, with its sandy beaches right inside the circle of units and the wild life e.g. the wallabies which came down to the water’s edge. We loved the location of the WorldMark unit which was so close to the reception, the restaurants and the beautiful swimming pools. We loved the fact that there were numerous walks to be taken through the natural bush land as well as along the sandy stretches. The availability of push bikes enabled you to venture further than walking distance. The boardwalk through the forest was fantastic and the tower in the middle provided a great view. 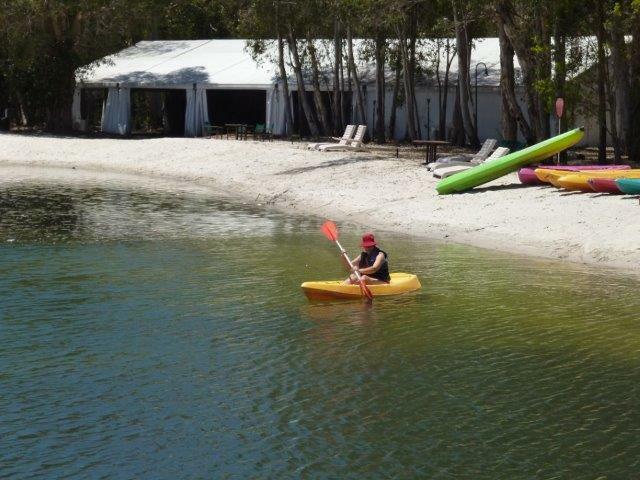 The design of the Resort is perfect for using the kayaks which were lots fun and in plentiful supply. The short ferry ride from Runaway Bay made Couran Cove very accessible. We would certainly love to return to explore the Resort more and to enjoy the wonderful relaxed atmosphere. 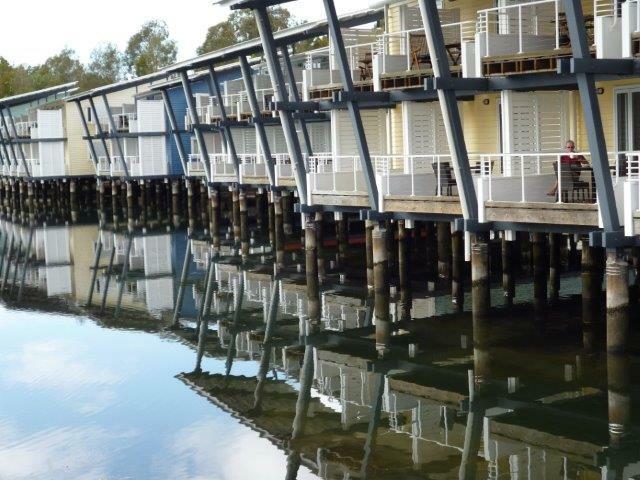 Explore Ramada Couran Cove (QLD) on your Owner website. This entry was posted in (QLD) Gold Coast and tagged australia, couran cove, gold coast, holiday, queensland, travel, vacation ownership, WorldMark South Pacific Club by Wyndham, Wyndham Resorts. Bookmark the permalink.